As the festive season inches ever closer it’s time to think about your Christmas shopping. In this blog article, we thought we’d play Santa’s helper. We’ve compiled a list of rather fine Christmas gifts for car lovers. Every high-performance car should have a high-performance umbrella stashed in the glove box. We’ve done the research, so you don’t have to. ‘Davek’ umbrellas are engineered to perfection, just like many of the vehicles we store at South Downs Secure. Visit website. Be sure that the motoring enthusiast in your life gets where they need to be on time. 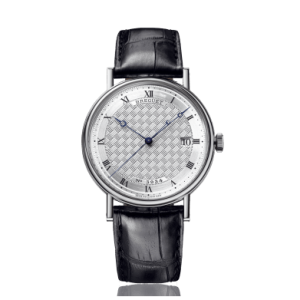 First up, luxury Swiss watchmakers, Breguet, have been making timepieces since 1775. The Classique wristwatches exemplify the watchmaking ideals of precision, clarity and elegance. View the collection. 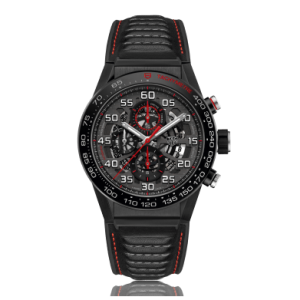 Swiss brand TAG Heuer are well-known for their affiliations within the motorsports industry. They have collaborations with Aston Martin, Formula 1 driver Max Verstappen and many more. With brand ambassadors such as Ayrton Senna and Alexander Rossi, there’s a reason these watches are admired by motoring enthusiasts. Visit website. 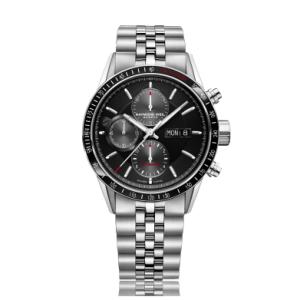 Discover more Swiss-made quality and perfect timekeeping at Raymond Weil. The website’s excellent search facility can help you find the ideal watch for the car lover in your life. Visit website. Finally, for a vintage find, visit our good friends at Maunder Watches in Guildford. 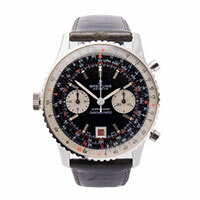 They currently have a rather rare gentleman’s 1970’s Breitling Navitimer Chronograph in stock. This watch displays a super glossy black dial that in certain lights has a deep chocolate brown tone which looks incredible. The baton hour markers have a deep cream tritium luminous tip that complements the tritium inlaid into the white pencil hands. Find out more here. As the Piloti website says, ‘A driver’s most important tool is their feet’. That’s why they optimise their driving shoe silhouettes for maximum pedal feel, a fluidity of motion, and comfort while driving. With lifestyle, luxury and performance ranges, they look pretty cool too! Discover them here. 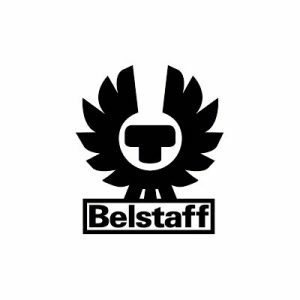 Iconic motorcycle clothing brand Belstaff has developed a collection that will ensure your car lover’s jacket looks as smart as their shoes. They have recently teamed up with McClaren to produce a lifestyle clothing range with exceptional performance and engineering. 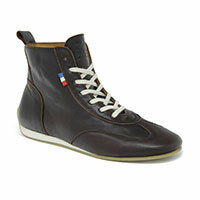 Find out more about the collection for men and women here. We felt a weekend bag to hold every car lover’s essentials was a perfect addition to the South Downs Secure Christmas gifts list. The Outlier Man specialises in accessories for the gentleman driver. 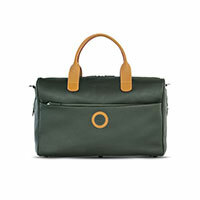 We love their ingenious ‘Weekender’ bags. The bags open up fully and can be laid out flat. This exposes the interior pockets and the garment case that is equipped with two detachable hangers and a zip closure to easily place your clothes and accessories. Private Motor Club publishes a 200-page bi­annual journal full of glorious double-page images, concise and researched writing and excellent storytelling. 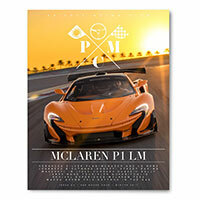 Any motoring enthusiast would appreciate the gift of the Private Motor Club Journal, which can be posted worldwide. Shop online here. 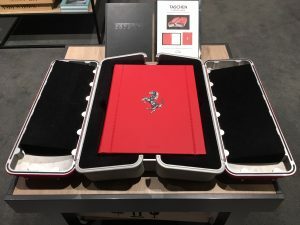 For the Ferrari lover in your life, we discovered the Taschen Il Fascino Ferrari book in Selfridges. It’s a colossal offering with unrestricted access to hundreds of photographs from the Ferrari Archives and private collectors that reveals the full story behind Ferrari’s protagonists, victories, past, and future. Find out more about the book. 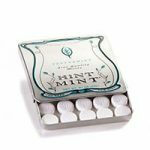 Hint Mints – Luxury driving mints that every glove box deserves. Visit website. Auto Curators Luxury Wash Pack – This pack everything necessary for a safe car wash. Buy online. Parfums De Marly – For a classic fragrance that won’t compete with the smell of fine leather and wood emanating from a vintage vehicle. 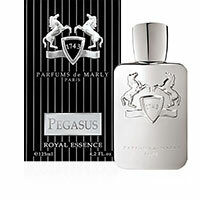 These French fragrances bring a whole new meaning to the phrase ‘horsepower’. They are all named after dignified breeds of horses. Discover them here. Banvard & James Astor Shearling Gloves, to keep hands warm when the roof is down on the car. Cruiser Illuminated Keychain which features headlights that light up to help insertion of the key in the dark. The Giobagnara Envelope Document Wallet the perfect place to keep important car documents. La Portegna Suede Travel Slippers that won’t take up too much room in your luggage when you have a motoring weekend away. Cire Trudon Ottoman Room Spray, a quick spritz will keep the car smelling sweet. 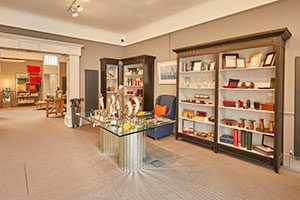 Find out more about the Augustus Brandt lifestyle shop in Petworth. We hope you enjoyed our list of Christmas gifts for car lovers, and don’t forget to give your car the perfect gift too! Contact us about secure car storage at our purpose built facility on the Hampshire and West Sussex border.